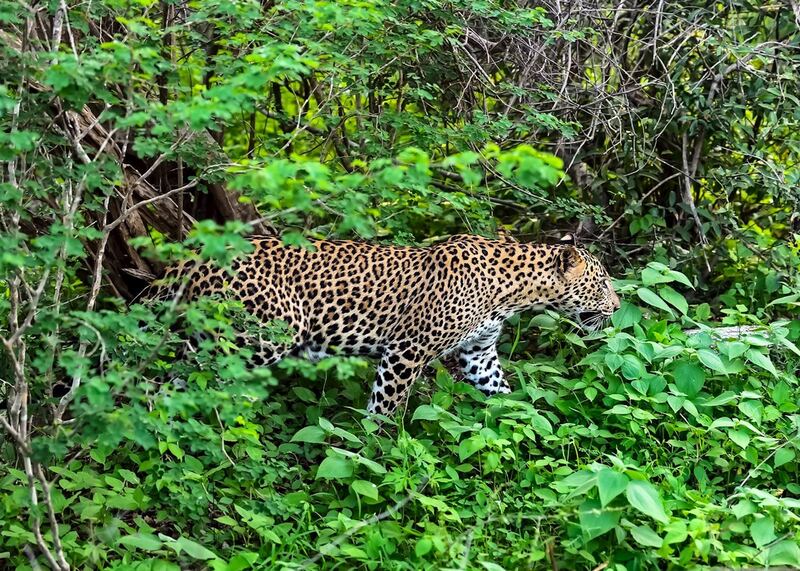 Originally a hunting ground for the British during colonial rule, Yala National Park's grassy plains and tangled forests are now a playground for a healthy leopard population. 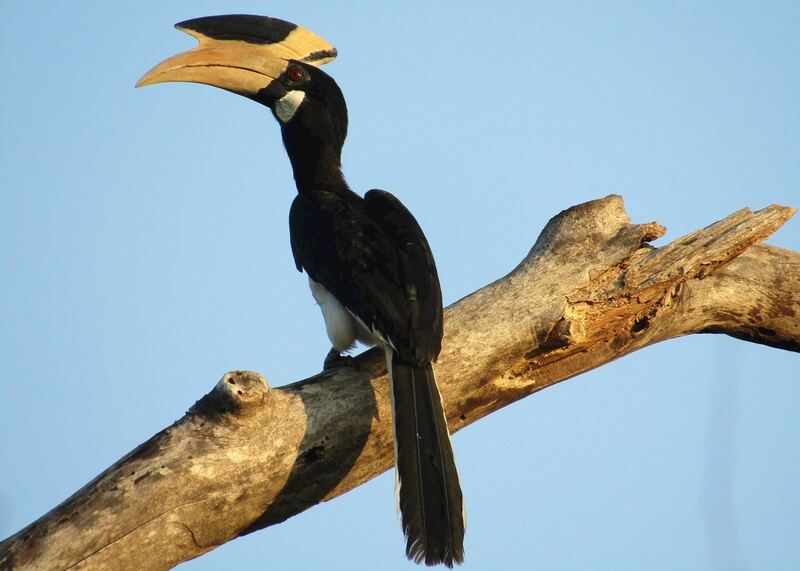 Yala hugs the island’s southeast coast creating a semi-arid environment, and its lagoons and beaches host a diverse range of birdlife. A protected area, Yala covers more than 900 sq km (378 sq miles), making it one of Sri Lanka's biggest national parks. Yala is the busiest and most popular park in Sri Lanka, and with good reason. It boasts the highest density of leopards in Asia as well as sloth bears, crocodiles, deer and a plethora of birdlife. The leopards aren't necessarily easy to spot. Take a 4x4 safari into the park - dawn or dusk works best due to cooler temperatures and increased animal activity - with an experienced guide and have your binoculars to hand. Safaris tend to last three to four hours, heading through the park's meandering 4x4 tracks and focusing on the rocky outcrops where the leopards like to laze. The park is split into five sectors, two of which are open to visitors on guided 4x4 safaris. 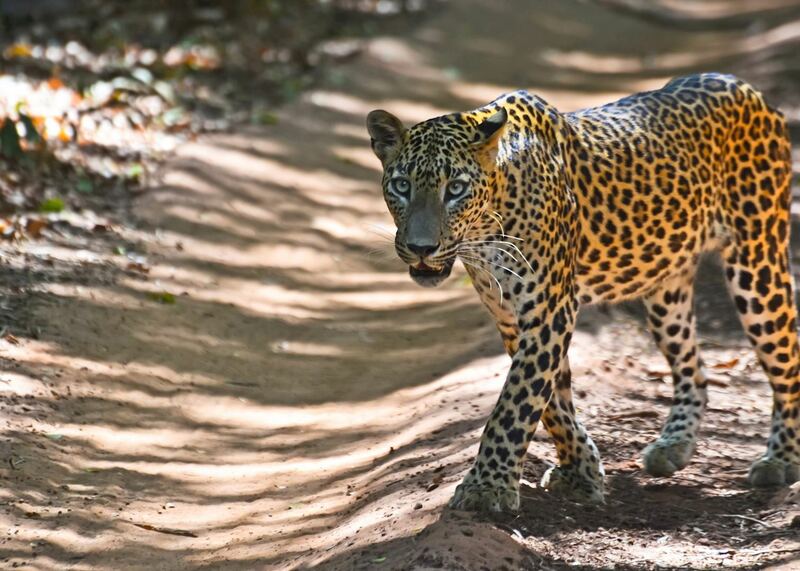 While you visit mainly for the leopards, Yala's varied typography offers far more wildlife encounters. 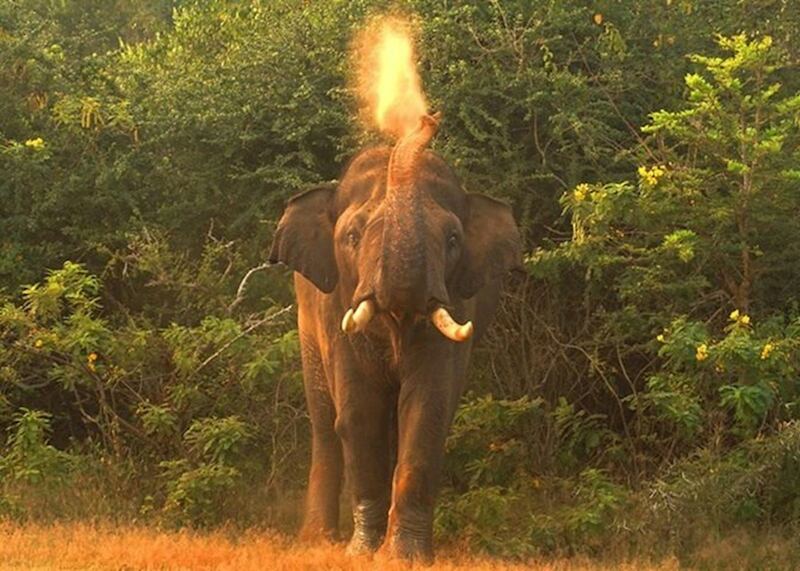 The Asian elephants aren't subtle creatures as they trample through the scrub in family groups. 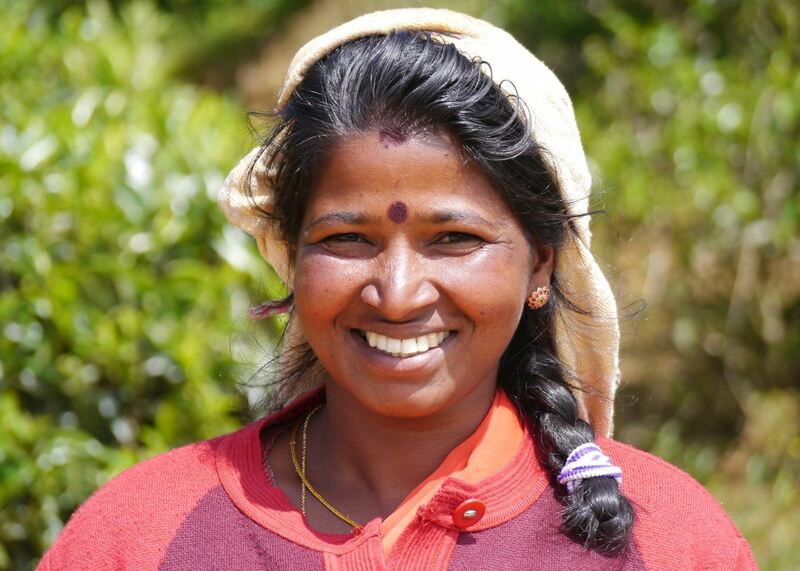 In contrast, sloth bears are elusive but your guide will be able to point out their claw marks, clearly scratched into the trees around the park. Crocodiles are frequently seen basking in the sun, and jackals and spotted deer often emerge from the undergrowth. Over 400 bird species, including 33 that are rare and endemic, have been recorded in the park. 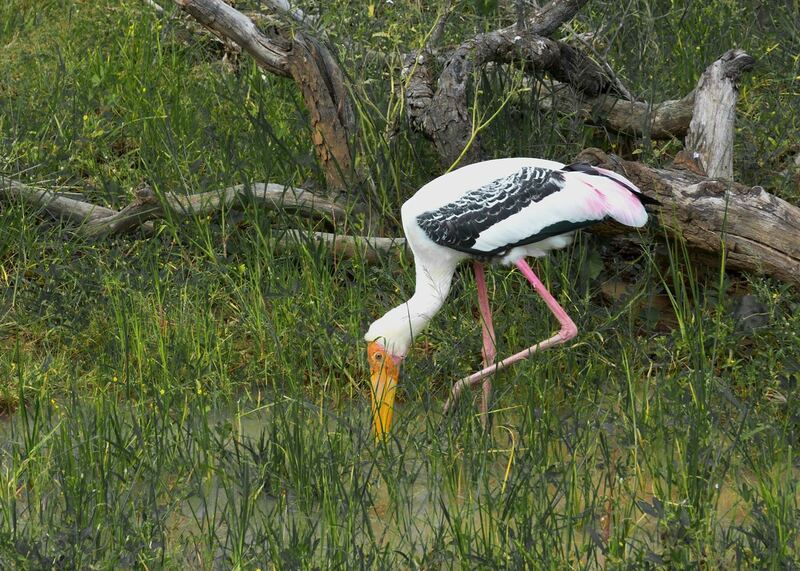 Yala's wetlands, shallow lagoons and untouched coastline make it a reliable choice to view a variety of this prodigious birdlife. Heading out by 4x4 with a guide in the early morning, you'll park under the shade of the mangroves. While you enjoy a packed breakfast, you can watch the birds emerge from the scrub around you. The blue-tailed bee-eater is often seen perched on branches nearby as black-necked storks glide above. To protect the wildlife, camping in the park isn't possible, but there's a variety of camps nestled in the park's buffer zone. You can opt for a back-to-basics stay in a mobile camp (they move each season to protect the environment). They maintain a jungle camp feel with canvas tents, no electricity and sundowners served by the fire. Alternatively, the permanent camps are more akin to a boutique hotel and boast facilities such as a private pool. For the most reliable wildlife sightings, it's best to visit Yala in the dry season from February to June. With the water levels lower, it's easier to spot animals coming out to the lagoons to drink. The park normally closes each year for the month of September for maintenance. Temperatures in Yala hover around 29°C (84°F) throughout the year. A wet, tropical island, Sri Lanka is prone to rain all year round, but the northeast monsoon tends to hit the park from September to December. At this time the rainfall is usually quite heavy. 14th April is the Sinhalese and Tamil New Year, when families have time off to spend together, often picnicking on the beaches near Yala. The Raja Maha Vihara temple, close to the park, becomes inundated with vibrant floral offerings. It's worth noting that the park can be busier at this time. In May, Vesak Poya festival celebrates Buddha's birth, enlightenment and death. Villages across the country commemorate the occasion with parties and temple visits. Bright decorations line the route to Yala and local people set up stands offering free food and drink to passers-by. of our Sri Lanka clients would recommend us to a friend. 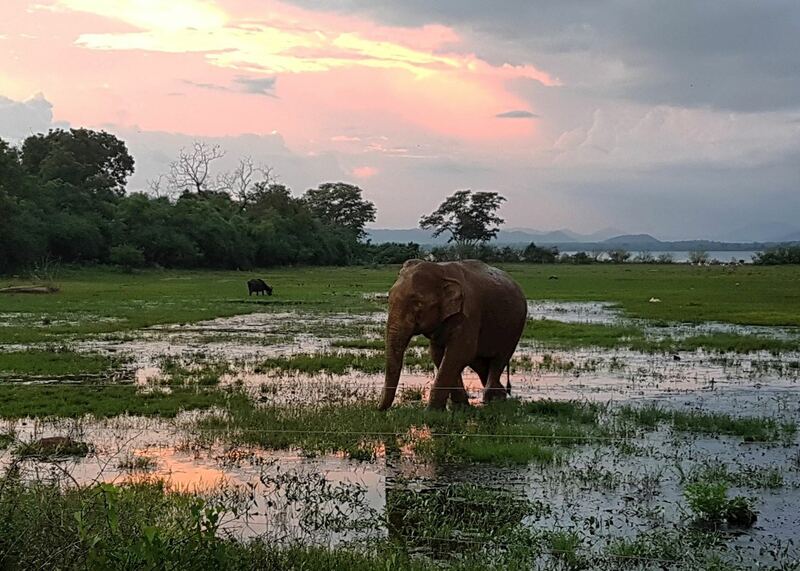 Our itineraries will give you suggestions for what is possible when you travel in Yala National Park, and they showcase routes we know work particularly well. Treat them as inspiration, because your trip will be created uniquely by one of our specialists. We’ve selected a range of accommodation options for when you visit Yala National Park. Our choices usually come recommended for their character, facilities and service or location. Our specialists always aim to suggest properties that match your preferences. Combining a sandy beach and wildlife-filled jungle, Cinnamon Wild is a peaceful lodge that allows you to immerse yourself in nature, situated on the cusp of Yala National Park. Our specialists seek out authentic ways to get to know the places that could feature in your trip. These activities reflect some of the experiences they've most enjoyed while visiting Yala National Park, and which use the best local guides. You can hope to see many species of birds including storks, kingfishers and peacocks. The animals residing in the park include crocodiles, elephants and buffalo.